The latest new feature in Minecraft: Education Edition makes it possible for students to learn how to code while playing the game. Known as Code Builder, the feature is ]available now in beta for Minecraft: Education Edition. Code Builder is a tool that shows up in the game as a robot. Users can interact with the game through the robot using the learn-to-code platforms such as Tynker, Scratch and MakeCode. Coding is as essential to our kids’ education as all the mainstream lessons our children participate in at school. Now more than ever tech leaders and IT Coding Organisations are touting the importance of the skill in students emerging into higher learning and the workforce. The journey must start early and embedding these skills into early learning will prepare students for the future.Learning how to create the stuff on which our modern society runs will ready future generations to make the things that the rest of us will use. Tynker, a company that creates self-paced and school-based coding lessons for kids, has partnered up with Apple’s Everyone Can Code program to provide two new courses for students in Kindergarten to 5th grade. The free curriculum available via the free iTynker iPad app — is also integrated across two new curriculum modules for teachers in iBooks. Today the effective use of technology, encompassing learning outcomes has become imperative for all schools. With so many financial demands on schools sometimes PD becomes the bottom of the list of to-do’s. What we see over and over is schools engaging in new technologies and software and going great guns for a short period of time before the creative juices dry up. Keeping staff motivated and engaged is as much a struggle for teachers as it is for the students. 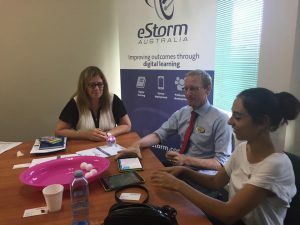 eStorm can assist schools in planning a technology program that is not only customised for your school but will support your staff on this digital journey. Our team comprises of professionals who have skills specific to their specialist area. 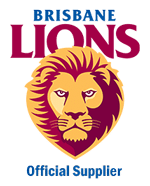 We can support your school with coding using Sphero, Scratch and Swift. Robotics, Microsoft O365, Apple applications and device introductions. We assist in technology support assisting teachers in achieving their goals. eStorm tailors workshops at our office in Stones Corner or we can organise half day and full day programs at your school. Our programs are designed to increase competency with technology, to assist teachers in developing confident technology practices and work-flow solutions. We can work with groups inside or outside the classroom, whole school auditorium style learning through to 1-1 mentoring.